September | 2011 | Hand Luggage. I have neglected the ole blog for a while as I have made the fatal error of upgrading to Flickr pro and am now utterly and totally addicted to uploading my entire back catalogue of travel photos. With my tendancy to be a trifle snap happy, it could take a while! Check out some of my snaps by visiting my flickr account here, why not spend many happy minutes trawling through my endless pictures of the same beach, peeling paintwork, wonky old doors and other pointless holiday momentos that will mean nothing to anyone but me! 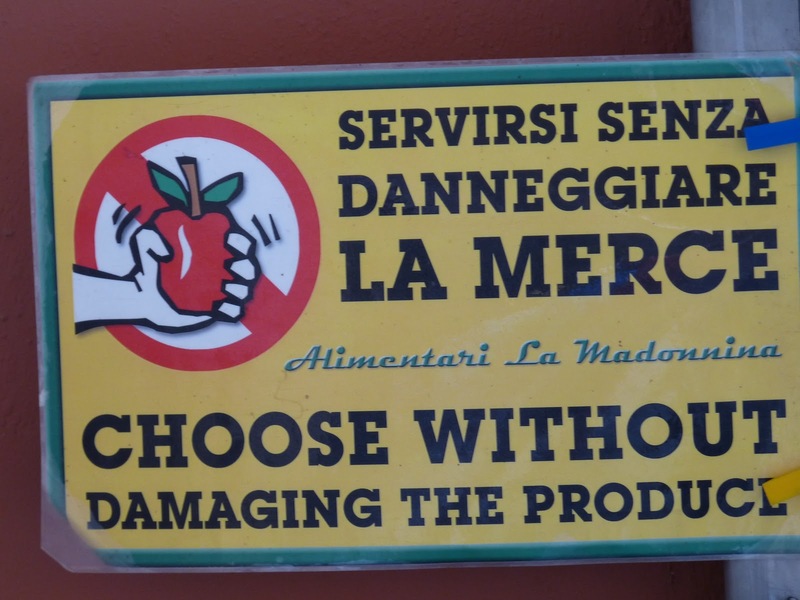 Here’s a few of my favourite random snap shots of signs and scrawls from recent jaunts . . . . ENJOY! 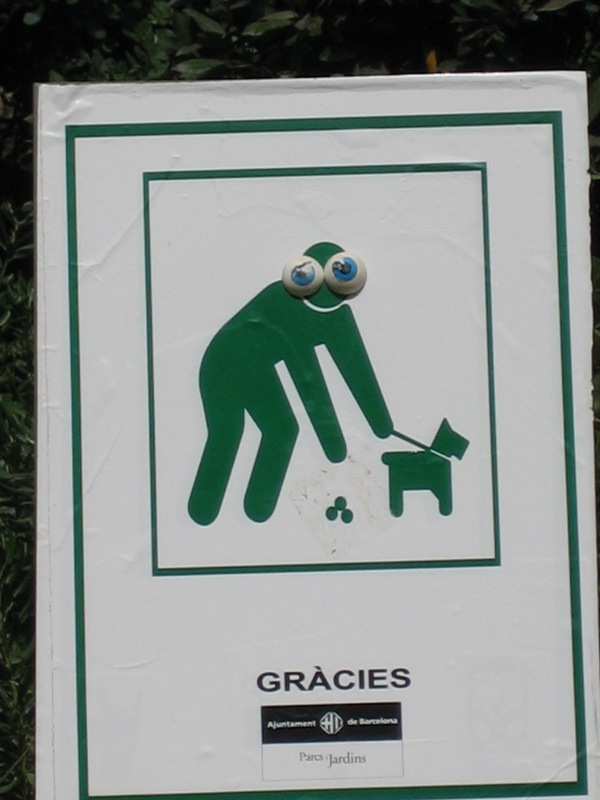 It’s a dog poop sign in Barcelona, but wait, the man has comedy goggly eyes, I find it childishly amusing. 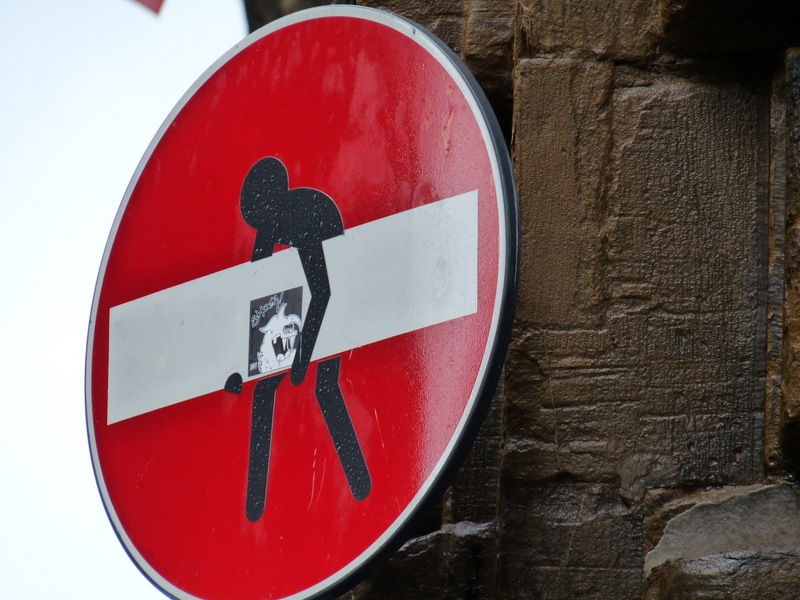 Amusingly vandalised road sign in Florence, just after the monsoon hit us full pelt. 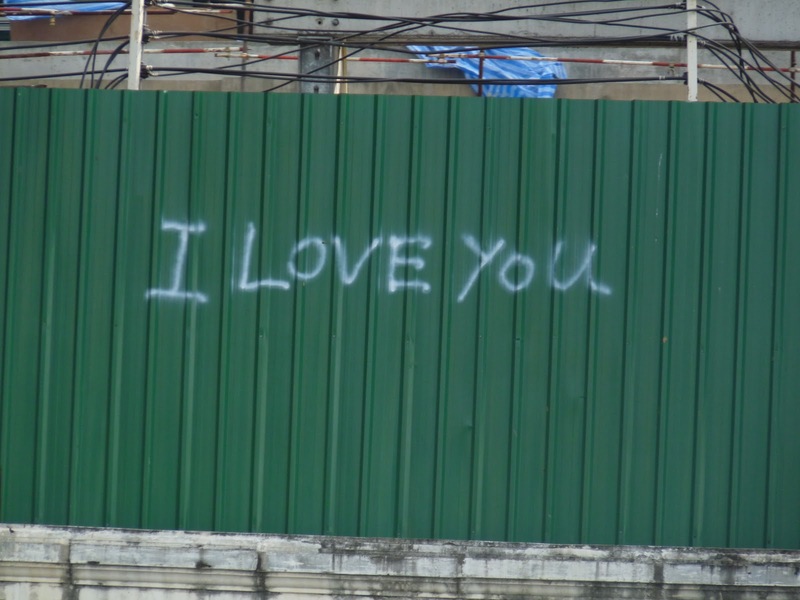 Some soppy graffiti in Bangkok as we cruised the waterways. What can I say but I am utterly infantile and somewhat curious about what this Barcelona shop is selling. 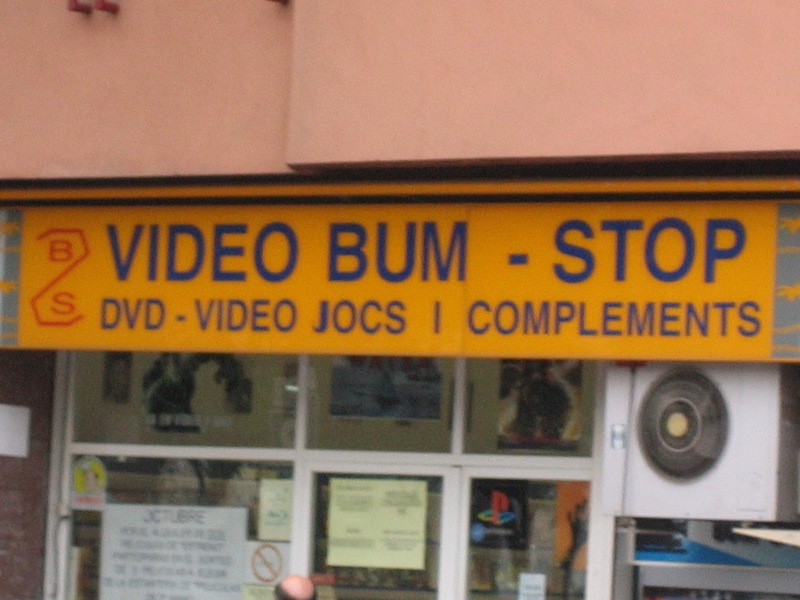 Not just dodgy DVDs about bottoms but compliments too, how wonderful, what a great idea for a commercial venture. I will have a handful of smarm about how my eyes glitter like the stars and a blob of “are you that model off tv?” to take away thanks. Our final temple stop was at Bante Srei – The Citadel of the Women, a gorgeous smaller scale temple with the most ornate carving I have ever seen. It is all a lovely pink shade too being made of red sandstone. 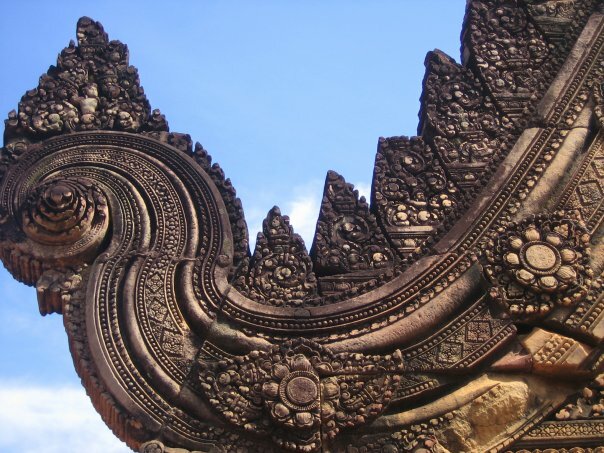 The temple was rediscovered in 1914 and has the most intricate bas relief carvings covering every surface in eye boggling detail. 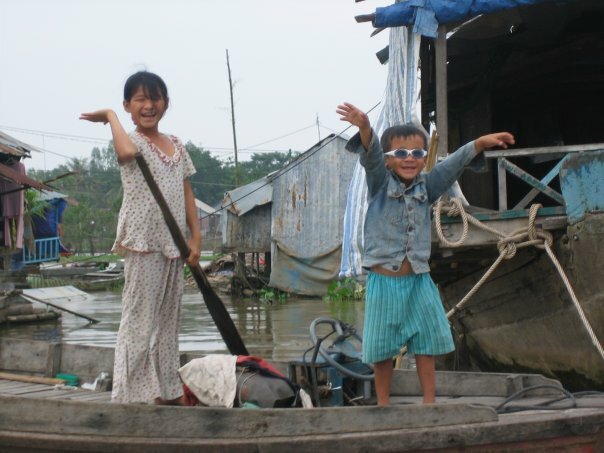 Here’s one of the floating traders plying her wares and some local kids saying hello! 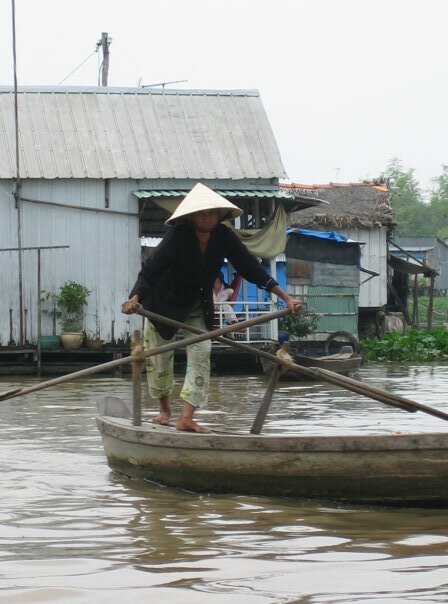 And a sampan being rowed by a villager. According to Wikipedia the word sampan comes from the original Hokkien term for the boats, 三板 (sam pan), literally meaning three planks. The name referred to the hull design, which consists of a flat bottom (made from one plank) joined to two sides (the other two planks). 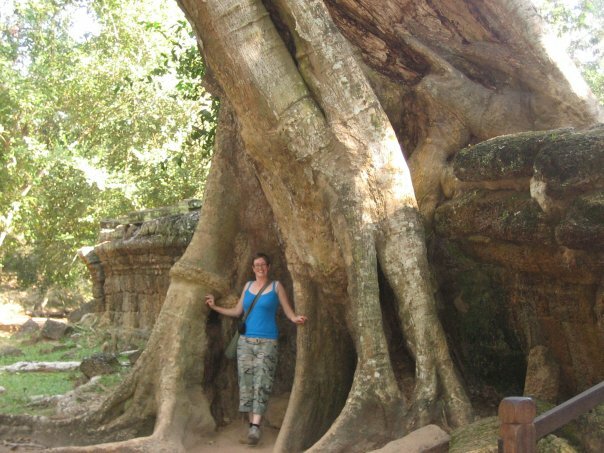 Following on from the horrors of Cambodia’s recent past, we headed to the amazing temples of its ancient past as we moved onto Siem Reap, home to some of the Khmer’s most famous temples including the epic complex that includes Angkor Wat. 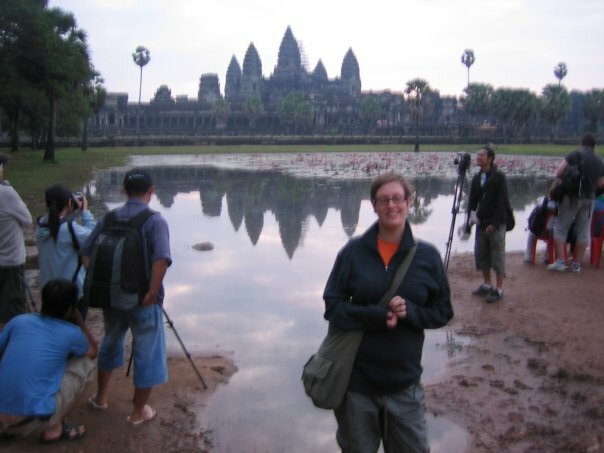 Here’s a very blurry picture of me in front of the iconic silhoutte as dawn rises over Angkor Wat. It is the world’s largest religous building. As the best-preserved temple , it is the only one to have remained a significant religious centre since its foundation – first Hindu, dedicated to the god Vishnu, then Buddist. 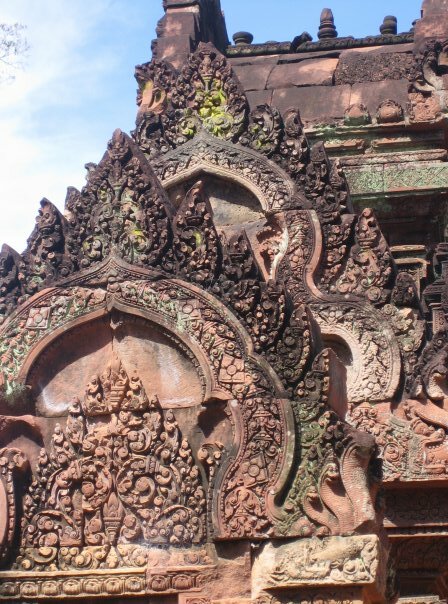 The temple is a representation of Mount Meru, the home of the gods: the central towers symbolises the five peaks of the mountain, and the walls and moat the surrounding mountain ranges and ocean. Shame the scaffolding spoils the scene a little bit!!! 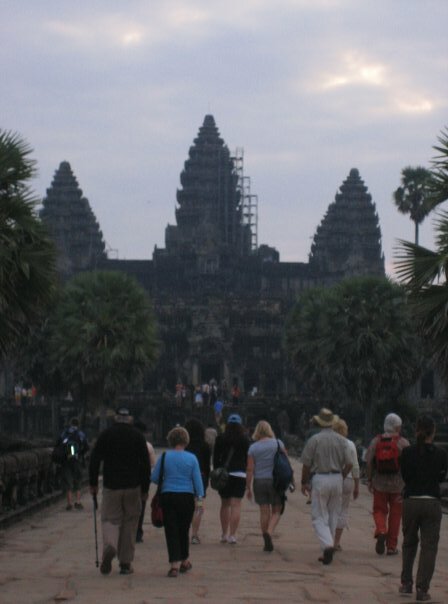 Close by Angkor Wat is the temple of Angkor Thom and the magnificant stone faces of the Bayon. From a distance the Bayon temple seems like a muddle of chaotic heaps of stone, higgly piggly but up close you start to make out the incredible work that has taken place. 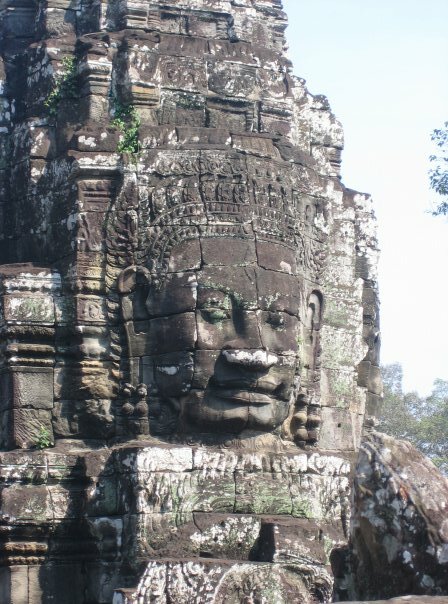 Hundreds of huge faces are carved onto towers. All gazing into the distance. 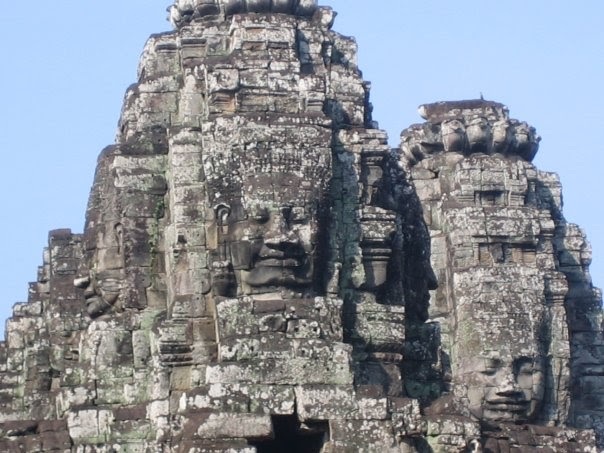 Here are some of the 216 huge Bayon faces, all smiling enigmatically in all directions. 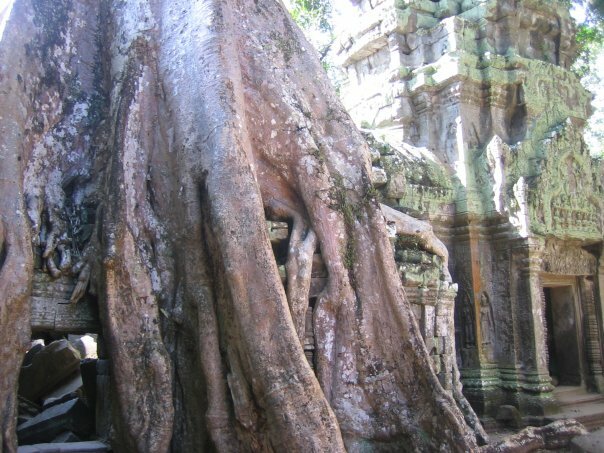 Then it was onto Ta Phrom, a haunting temple complex still consumed by the jungle. 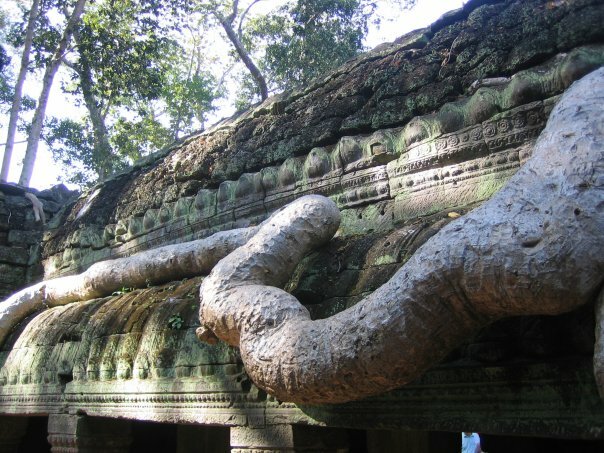 Other temples such as Angkor Wat have been painstakingly conserved and restored, but this temple has been left, pretty much as it was discovered. Although apparently the authorities are now “cleaning” it up, which is a shame. 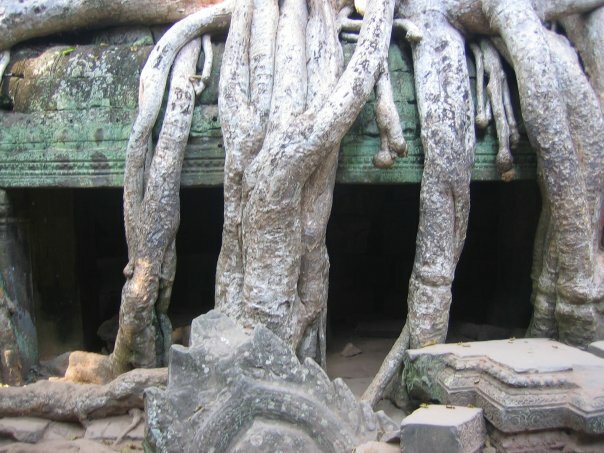 Silk cottons trees and strangler figs creep and crawl along every surface, destroying and holding together the atmospheric temple. You can see the scale of some of the trees. They have had free reign for years, nature gradually taking back its domain. In DIY, as in life, making a mess is easy. It’s cleaning up the pieces afterwards that is the hard part. Colleen Marples. 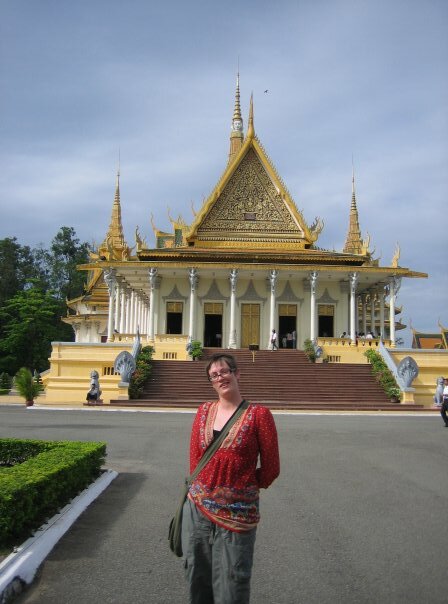 Cambodia is a beautiful country, with some of the most welcoming people with the widest smiles of any place I have visited before or since. But it is a country with a past so horrific, so recent, and so terrible that you wonder how people can ever move on. 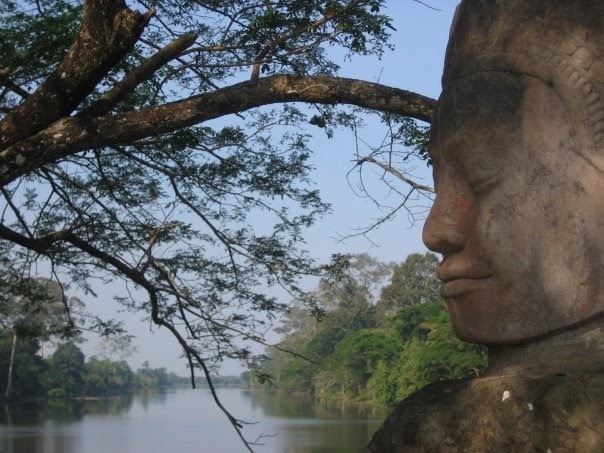 From 1975 to 1979 Cambodia was ruled by the Khmer Rouge, a party, lead by Pol Pot, based on communist ideals that ultimately resulted in the mass genocide of its own people. In just four years over 2 million people are estimated to have died in waves of murder, torture, and starvation, aimed particularly at the educated and intellectual elite. Our first stop was at the Tuol Sleng Genocide Museum, a former high school that was turned into the Khmer Rouge’s most infamous political prison. Here prisoners were detained, tortured until they confessed to their “crimes” before being sent on their final journey to the Killing Field. Classrooms became cells, crammed full of people, tiny rooms, with metal beds and shackles were still in place, left as they were found. 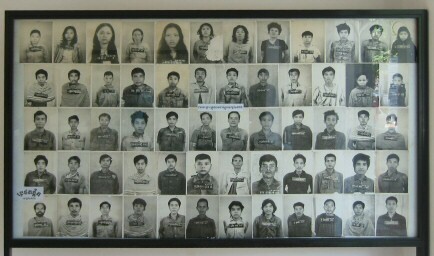 An estimated 17,000 people were imprisoned at Tuol Sleng. Only seven are documented to have survived. Most victims were from the previous regime and included soldiers, government officials, as well as academics, doctors, teachers, students, factory workers, monks, engineers, etc. 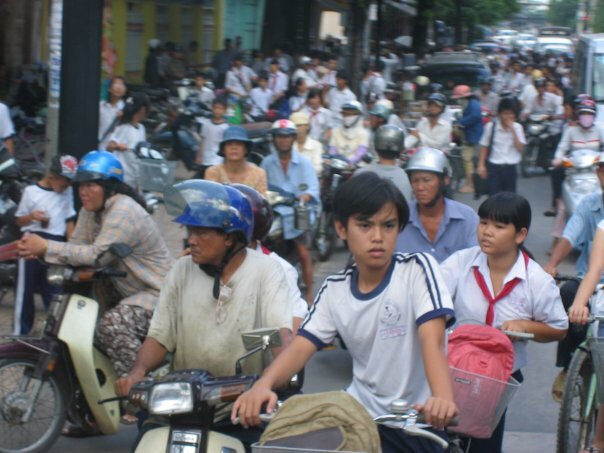 Later, the party leadership’s paranoia turned on its own ranks and purges throughout the country saw thousands of party activists and their families brought to Tuol Sleng and murdered. Upon arrival at the prison, prisoners were photographed and required to give detailed autobiographies, beginning with their childhood and ending with their arrest. The images that will stay in my mind forever were the final rooms in the museum, empty but for row upon row upon row of black and white photographs of the prisoners. From tiny children to frail elderly people, they stare into the camera lens as if it is the barrel of a gun. One photograph shows a young woman, a single tear falling down her cheek. Her tiny baby is in her arms. You know that not one of these people survived. 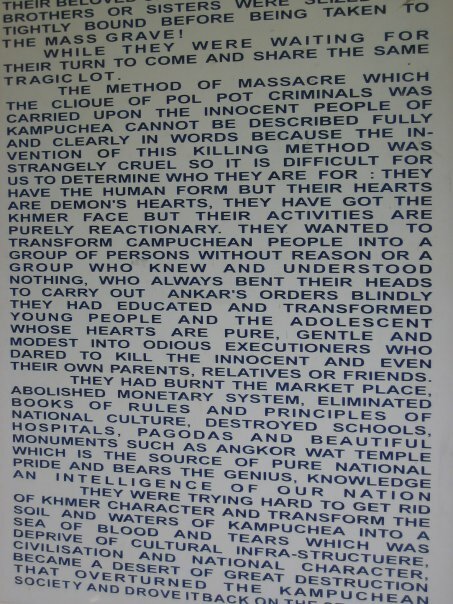 Whether from torture, starvation or being taken to the killing fields, they all came to Tuol Sleng to die. And you can see in their eyes that they know it too. Then it is onto Choeung Ek. 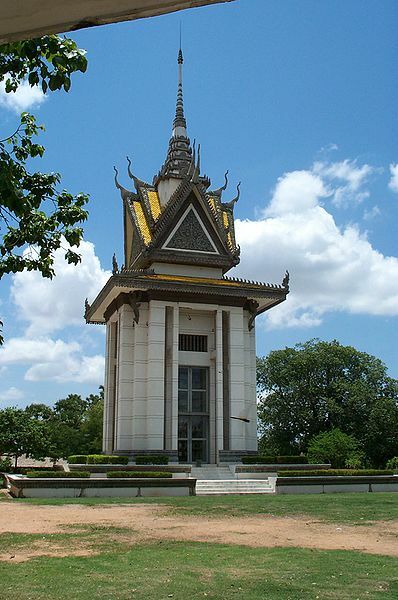 This is the best known of the sites that became known as killing fields. The sunlight shone over a field of green grass and butterflied flickered up and down, children played and laughed and it was only slowly that you started to see the mounds, and the bundles of rags under trees. When I asked the guide what they were he told me they were the remains of the clothing of the people they had bludgeoned to death and pushed into mass graves. If you look at the paths you are walking on, he said, you can still see teeth and pieces of bone. In the middle of the field stands a Stupa full of skulls. 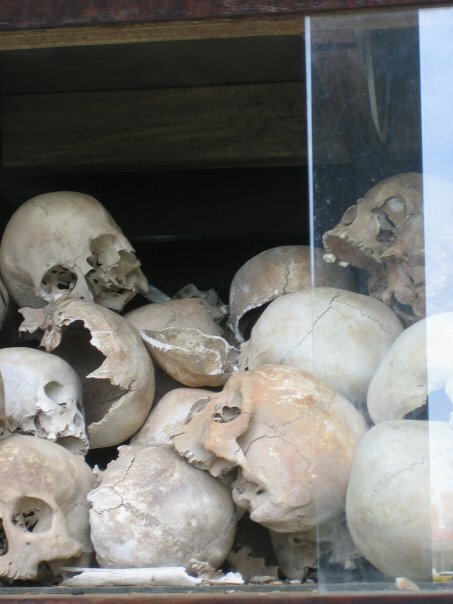 There are over 5,000 human skulls. Many have been shattered or smashed. I debated long and hard about whether to take a photograph of this. I heard many people say they would not, it seemed wrong, or distasteful or they did not want a reminder of it. I decided, on reflection to take a picture. If people are horrified so be it, if they recoil then good. History cannot be swept under the carpet and avoided because it is too terrible. These events happened in our life time. These people deserve to be remembered. In order to save ammunition, the executions were often carried out using poison, spades or sharpened sticks. In some cases the children and infants of adult victims were killed by having their heads bashed against the trunks of trees. The rationale was “to stop them growing up and taking revenge for their parents’ deaths. As we left the site our guide Mr Sun, a cheerful, talkative man was silent for a while. He then told us the story of how when he was five, there was a knock at the door in the night and they took his mother away. She was a teacher. They never saw her again. 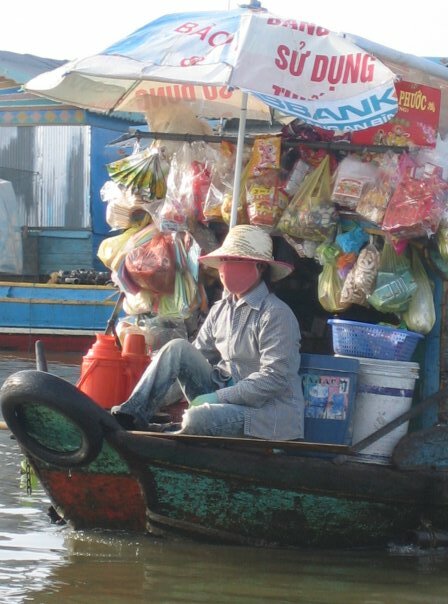 After the colourful delights of the floating market of Can Tho we headed out, by boat, for the crossing over into Cambodia. After a long stop at the riverside Visa control point we were on our way to Phnom Penh, it’s French built and Cambodia’s captial city and still retains influences including baguettes! 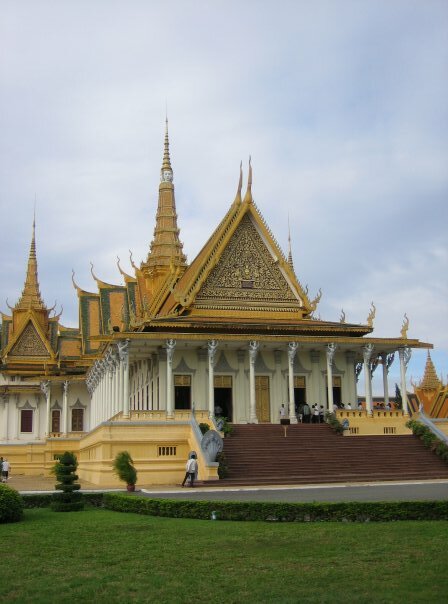 Phnom Penh is home to the Royal Palace. Here’s some snaps from our visit to the palace. 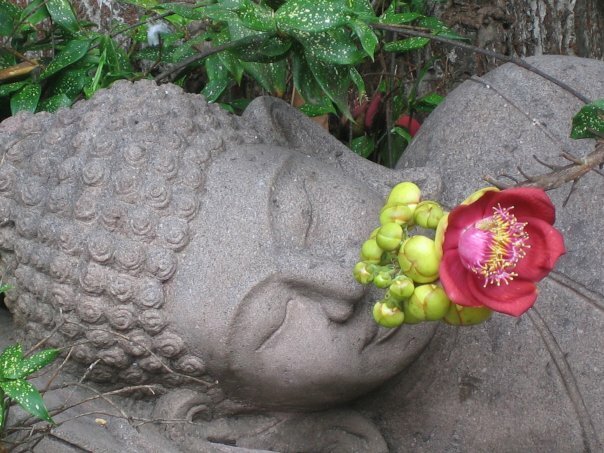 A reclining Buddha is a picture of serenity. It was to be the last peaceful image we saw for a while. Thought for the day, couldn’t decide so plumped for three, all of which reflect my recent experiences! 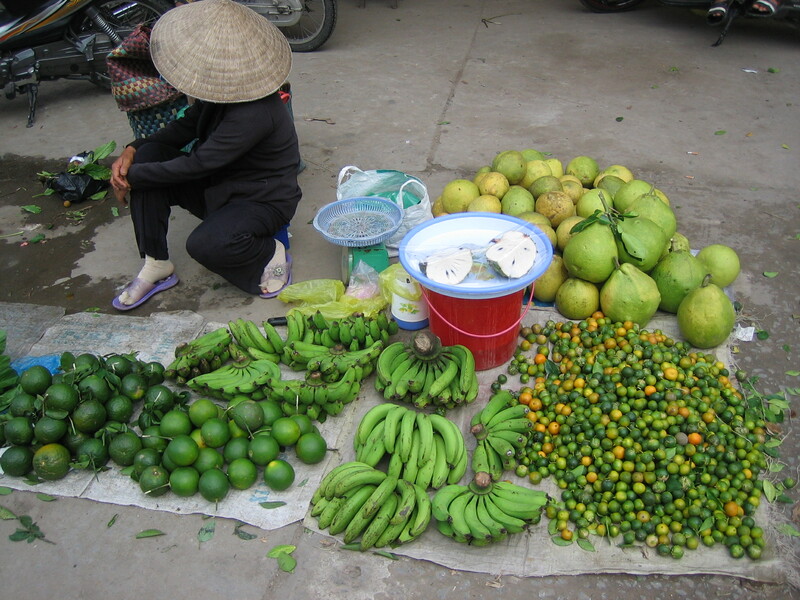 Next stop was Chau Doc and Can Tho. 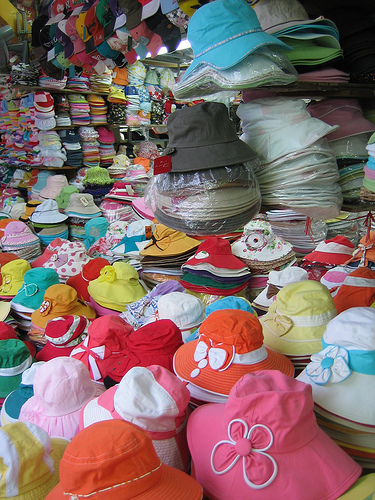 Can Tho is located on the south bank of the Hậu River, the bigger branch of the Mekong River. It’s famous for its floating markets where boats and all manner of waterbourne vessels via for customers. 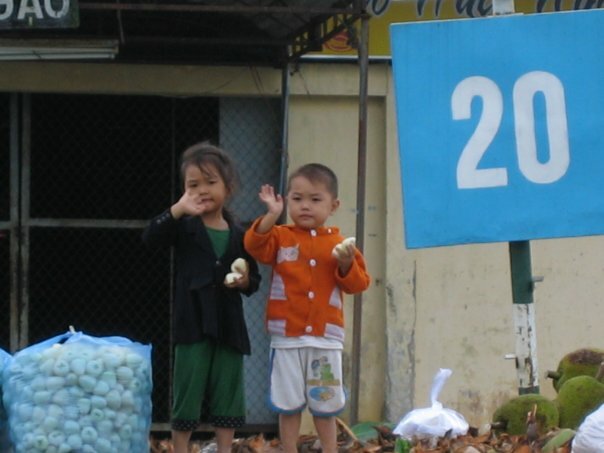 Here’s some traders rowing their sampans and some adorable local kids helping their parents sell! 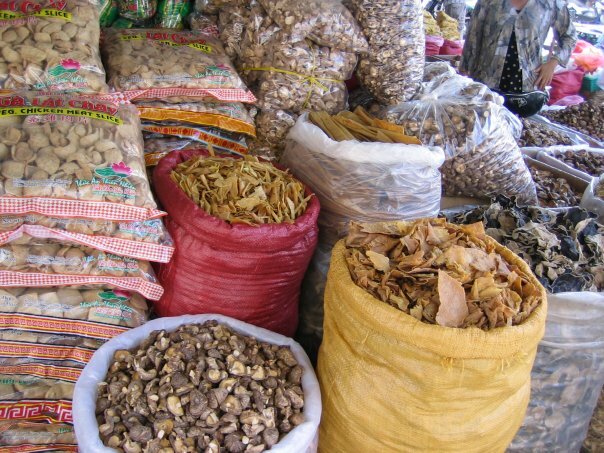 Here’s some of the local markets on the shore line. 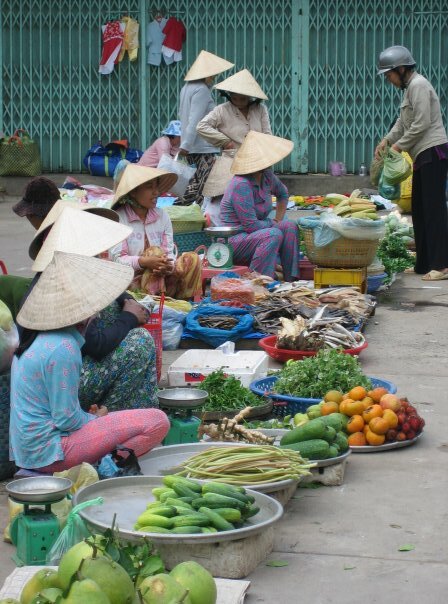 I love the photo of the women all gossiping as they sell, until I visited Vietnam I really thought the conical hat was just a stereotype, but they really do all wear them! 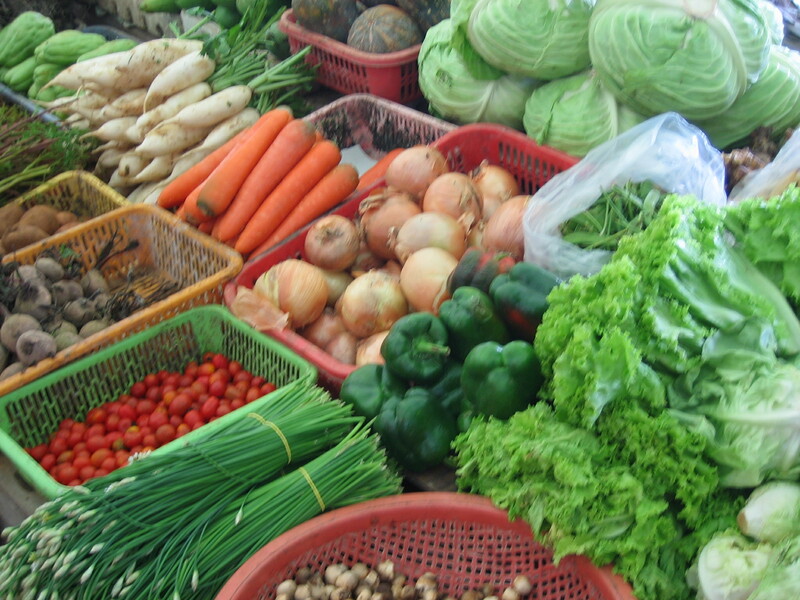 The produce is so fresh it literally hops out of the baskets. The plastic tubs in the pic on the left are full of fish, shrimps, crabs and other watery edibles! 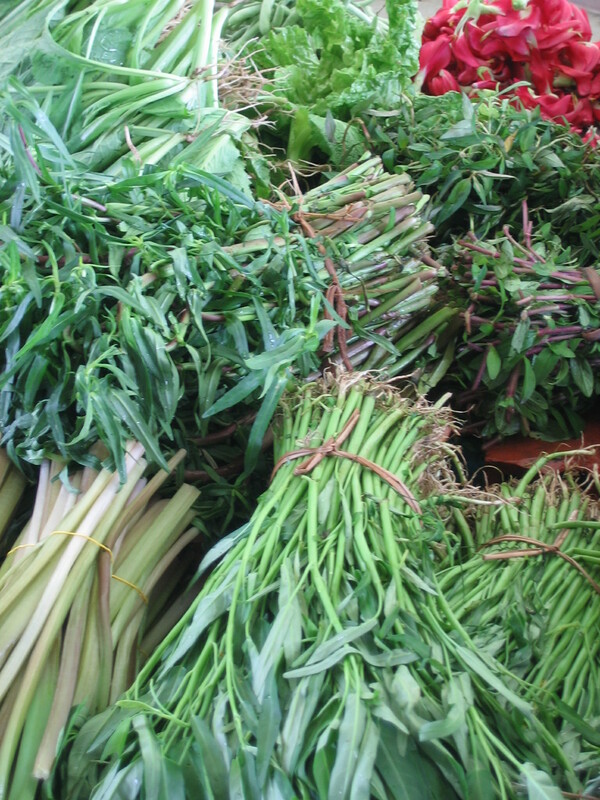 Bundles of lemon grass jostle for space with vivid dragon fruit and hairy rambutans and a host of wild and wacky food stuffs! 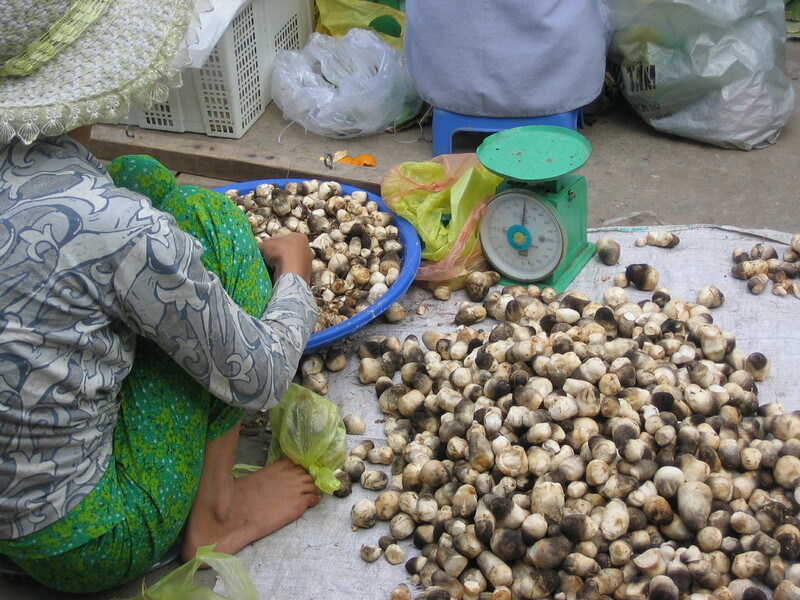 Below more women measure and weigh up their produce. 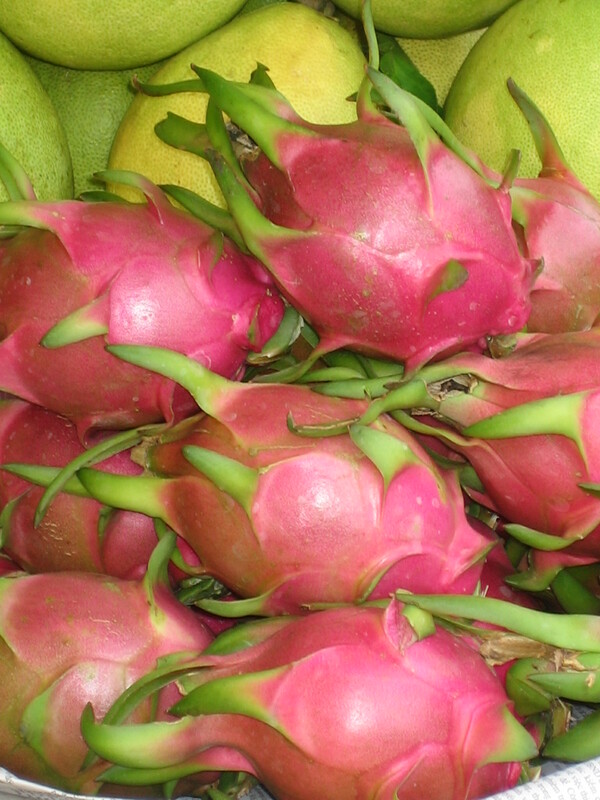 Tiny mushrooms and an array of fresh, tangy looking citrus fruits and bananas. Taking a brief break from my trundle down holiday memory lane, I remember my other half, during the recent Italy jaunt, telling me I was a bad traveler but I was a perfect tourist. Namely the most whingey, nit picky and utterly British person ever! 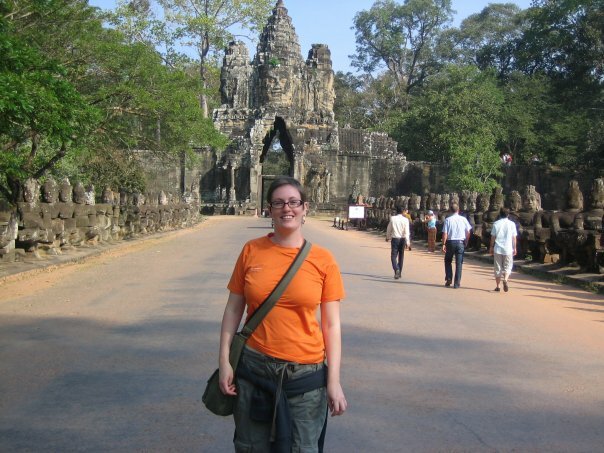 There are no doubt more, cementing my place in the most moany tourist category apparently. Also makes me wonder why on earth I travel to begin with! I always seem to enjoy the holiday better once it is over . 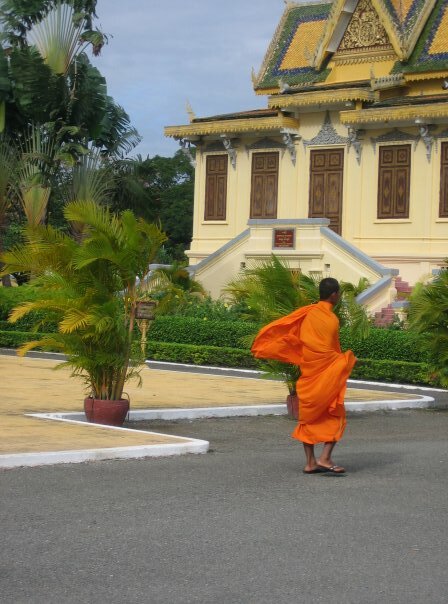 . .
Now I am firmly in the travel zone I thought, for my own pleasure, I would go back a few years to an amazing journey in 2008 through South Vietnam and Cambodia. 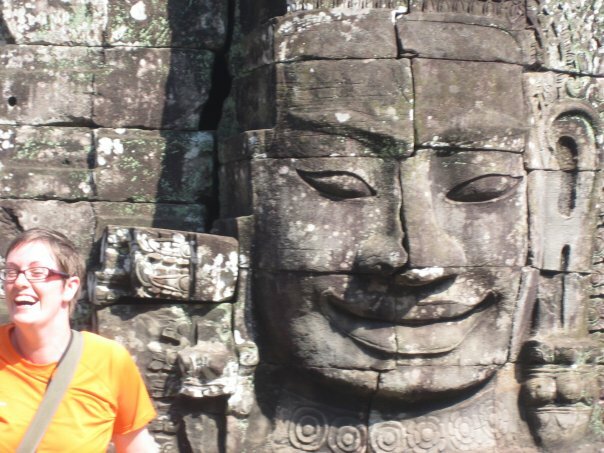 As it was to be my first ever experience of Asia and I was travelling alone I decided to have the hassle taken out of it and go with a tour company. I flew out to Ho Chi Minh and met up with a small group as part of a planned trip with Travel Indochina, a tour company who specialise in Asia. You can visit the website here. I had no idea what to expect, my first and only long haul trip had been to West Australia way back in 2000 and I hadn’t ventured very far since then, a few Greek islands, Tunisia, but nothing to prepare me for what I was about to land in! From the minute I stepped off the plane and my glasses steamed up as if I was in a tropical butterfly house I knew this was going to be interesting and awful in equal measures! Weaving in and out of traffic on the way to my hotel, with a taxi driver I could only, at the time, assume was suicidal (I later learnt this was just they way they drive) I was having second thoughts about coming to a country that still had negative connotations for older generations. My mum, when I announced I was off to Vietnam and Cambodia, rather nervously ventured that maybe I could just go to Greece again . .
First steep learning curve. Crossing the road. Waiting, in true British fashion at what appeared to be a pedestrian crossing lead to a frustrating, endless wait. Upon observing the locals, I soon realised that what I had once again assumed were suicidal tendencies, was actually the only way to cross a road. Namely, step out in front of the oncoming traffic, maintain eye contact with drivers and pray. Just try to maintain eye contact. With them all . . . . . . The first stop on our trip was the War Remnants Museum (formally known as the Museum of American War Crimes) This was full of graphic photos of war and the appalling effects of Agent Orange and Napalm. 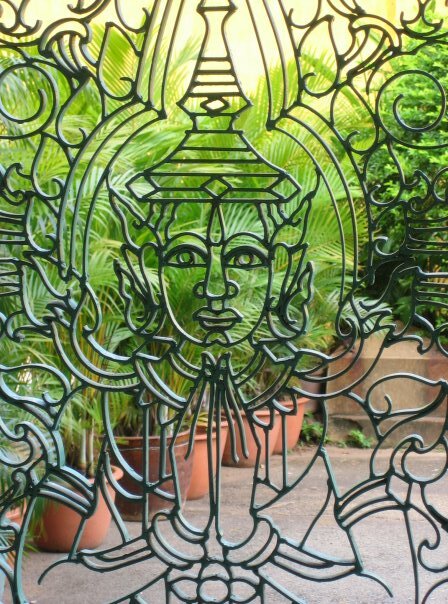 It was an uncomfortable introduction to Vietnam, a reminder of the horrors of war. We also visited the Reunification Palace. It was the site of the end of the Vietnam War during the fall of Saigon on April 30, 1975, when a North Vietnamese army tank crashed through its gates. 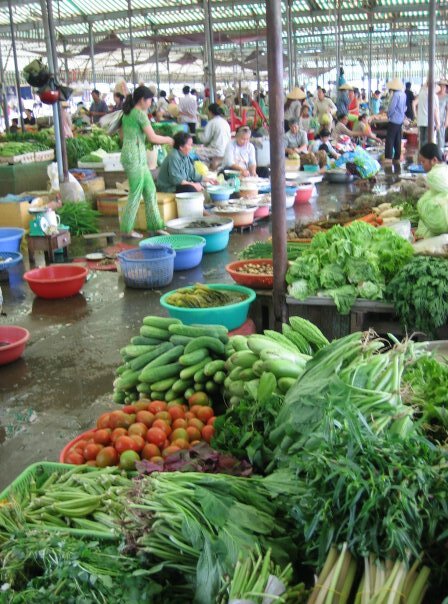 Then it was off to Binh Tay Wholesale Market, my first taste of what would become an obsession of mine, markets! 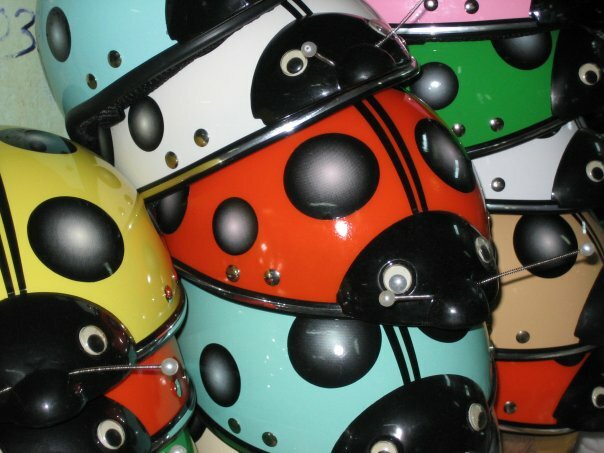 It is a chaotic, hectic, hot maze of stall, selling every item under the sun, from dried mushrooms to ultra cute bike helmets shaped like ladybirds! Here’s just a tiny selection of the host of weird and wonderful things stacked to the ceiling!!! 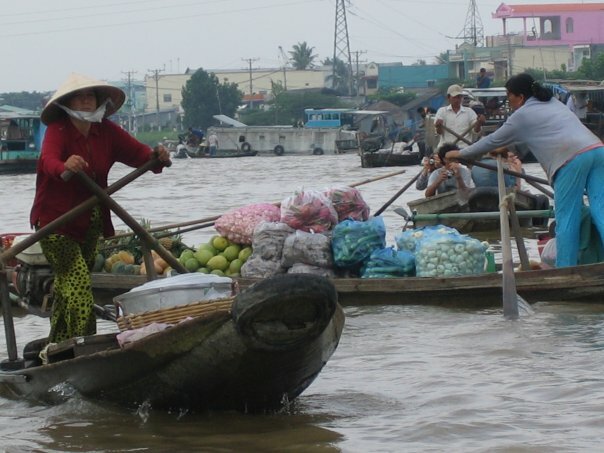 A boat ride down the mighty Saigon River took us to see the tunnels at Củ Chi. These are an immense network of connecting underground tunnels used by the Viet Cong during the war. 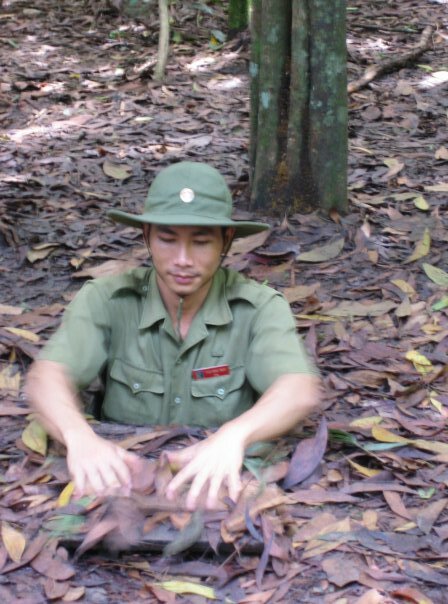 The tiny, cramped tunnel systems were of great importance to the Viet Cong in their resistance to American forces, through which they secured victory eventually. The tunnels were designed to be too small for the larger American GIs to be able to get into. They are catastrophically small, here is the tunnel guide showing the entrance to one. It is literally an inch wider than him, you can’t fit in with your arms by your side, you have to lift the lid above you head and lower yourself down with your arms above your head in order to get in.